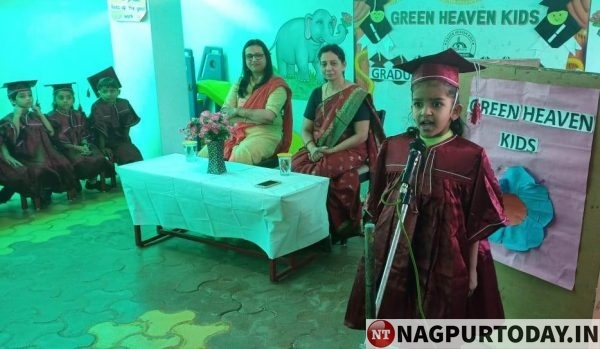 Nagpur: Green Heaven kids celebrated the Graduation Day ceremony to commemorate the precious moments of the little ones. The event offers an opportunity to celebrate the culmination of their preschool years and the beginning of new experiences to come. The programme started with a melodious song presented by students. Arjun Sharma, Gauri Dhone and Kuhu Chatterjee shared their views and experience about their schooling at Green Heaven Kids. 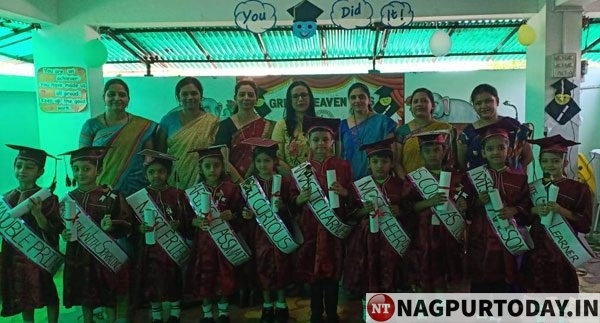 Students were felicitated and presented with beautiful titles which exactly befit them. In her brief speech, the Director Kavita Sharma congratulated children and also appreciated teachers’ efforts. Principal Aboli Bidkar gave wonderful parenting tips to all the parents. Parents shared their views and their beautiful journey with Green Heaven Kids in upbringing their little ones. The event was anchored by class teacher C N Deepthi and vote of thanks was proposed by Sanjana Sharma.